Are you one of John Cena’s fans? Some colors can aid you to become one of the greatest wresters in the world. There are several colors that increase hunger. Here we will discuss all of those. The mood of the room can be changed only by colors. Colors play a vital role in our life. No one can live in a white and black life. Add life to your walls using wisely selected colors. 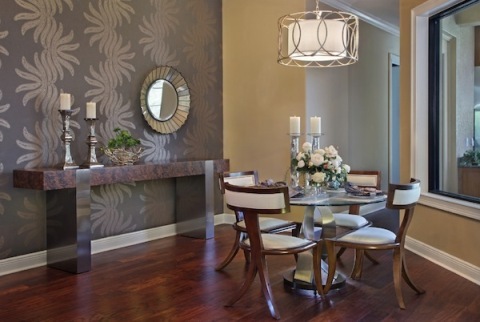 Here are great ideas on choosing dining room paint colors. Use the arrows to scroll through them. The dining room is a place where we consume our delicious meals so it’s important to us to enjoy a cozy atmosphere in this room. Cool colors like green make us cozy and warm. 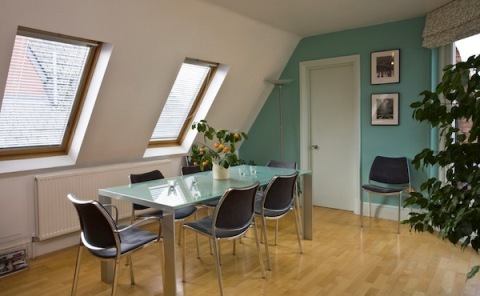 You can go for different shades of green or a monochromatic color scheme to paint your dining room. If you have a small dining room go for a cool and airy color like light melon and muted yellow so as to make it look more spacious. Pay attention dark colors make the small room appear smaller. If you want to eat too much and become one of the huge wrestler like The Rock, then go for orange color as it will increases your hunger. 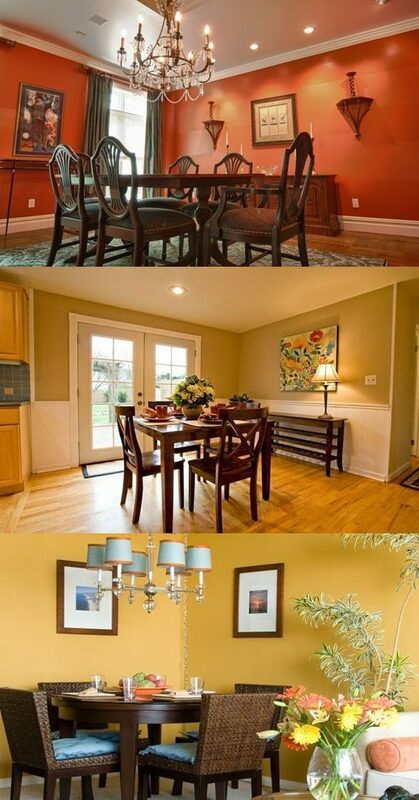 Buttercup yellow, orange, copper, red, beige and brown are wonderful colors as they give a welcoming, elegant, comfortable and supportive look to the dining room. If you want to speak with your family about special matters then go for yellow color as it creates a social atmosphere in the dining room. If you are tired and want to have some relaxation, the best choice is cream color. Red makes the ambient environment more pleasant. Great advice is to avoid the following colors blue, pink and shades of purple during painting dining rooms. In case you have oak, pine or light-colored furniture in the room, go for yellow or cream, they work well with these kinds of furniture. 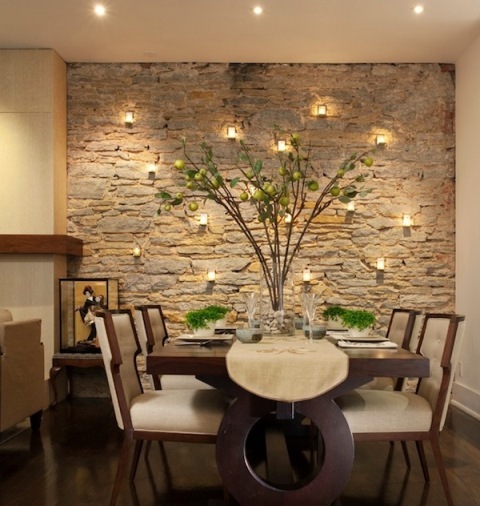 You can get inspiration from the following pictures about the best colors for your dining room.